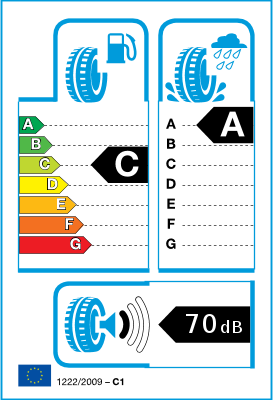 These tyres are good for about 12000 miles on a heavy vehicle being driven progressively on a mixture of motorway, town and mainly A and B roads, with a variety of loads and the odd caravan trip. They outlast the Hankooks, Khumo, Dunlops and Goodyears, with almost as much grip as the best of the aforementioned. I would recommend these, and note that quite a few other people with people carriers use them. Might try some Uniroyal transport 3s next, as I've had success with them on a Mondeo Estate. If not, Im i'll stick with these. Buy with confidence. I live on the Isle of Wight, with roughish country roads and no motorways. Crossfire always feels planted , stable with plenty of grip, wet or dry, stops and steers 100%. The FK510 set replace four FK453, which were good. The FK510 is better and suit the Crossfire well. I also have a Volvo XC90 fitted with SUV Falken FK510`s. 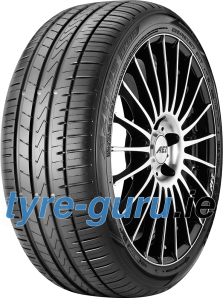 These FALKEN`s are good tyres and well priced and are wearing at less than half a mm/1000mls . When we use the cars on the mainland A roads and motorways, the FK510`s high speed performance is excellent, wet or dry, hot or cold. I shall be buying FK510 again ! !